Here we are at Episode 2 already, and I know many of us have issues finding the whole episode to watch... but I swear this episode is worth it to watch (more than episode 1) - not just because there is an eye candy. In this article, find the link & how to watch SING!CHINA from Singapore and also a full summary of the episode. 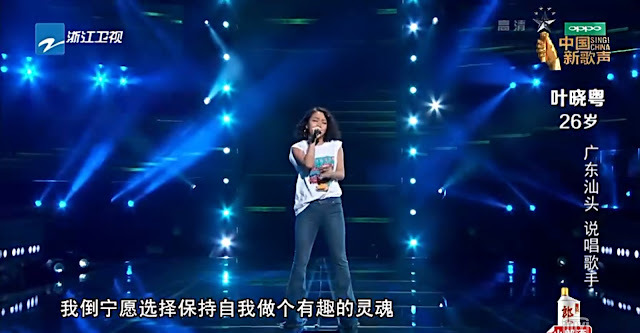 The first contestant of this 2nd episode - Zhang Mei Yi sings 想和你吹吹风 in a more creative, new-era method. I do like the new choreography, but she obviously doesn't have enough lung power to bring the choreography to life. The lowest and highest tones are shaky. She is gorgeous and certain has a 'celebrity face'. There is little surprise when none of the judges hit the button for her. 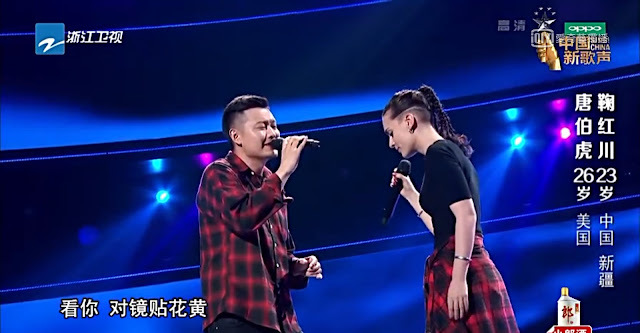 A girl duo Le Xiang and Fei Lin sing 告白气球 mixing Now You See Me! I can imagine everybody singing along to this ;) It is definitely one of the most popular songs among the 90s kids! Are they from Taiwan? (Nope they are not) They have quite a sweet, comfortable Taiwanese feel. But nothing that could impress any of the judges either. During the resolution, the judges decided that they should be more strict indeed to find the voice that they really need. Next, a cross-racial duo (omg, I thought they were a couple. Spoiler: they are not. ), Ju Hong Chuan from Xinjiang, China and Tang Bo Hu from US, takes the stage and they sing 我要你. And it's so beautiful in a very futuristic/ progressive way... Hong Chuan sings the first line, and his voice is so low, sincere and touching. I really like it, even if he is singing solo. Bo Hu joins in, and the picture is complete.. her voice reaches the highest tones easily. It is just so beautiful as they look into each other's eyes throughout the performance and sing. Liu Huan hits the button. They are super cute and ambiguous ;) Can totally see Hong Chuan is in love with Bo Hu from the way he looks at her! I hope they get together by the end of the competition, really. Liu Huan allow them to join without question. 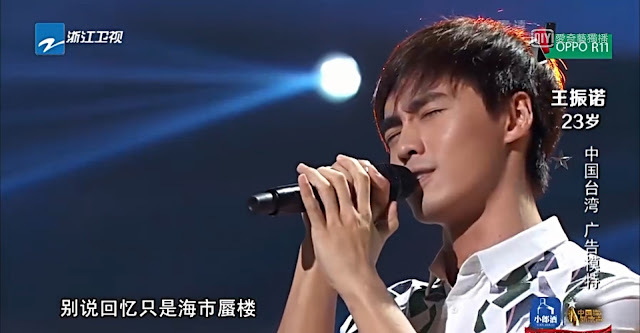 23-year old Hu Si Mo sings 三月 and immediately: SODA GREEN! SODA GREEN! SODA GREEN! Important things must say thrice, OK? I instantly like this voice, really melodic. I don't like the choice of song, but I can imagine his voice being put to better use. This song is like a lullaby. All the judges struggle. Eason and Liu Huan both slam the button at the very, very last minute. Na Ying and Jay Chou clap with a really perturbing facial expression. Hu Si Mo trains in his own room everyday, following that Eason and Na Ying imitate him. 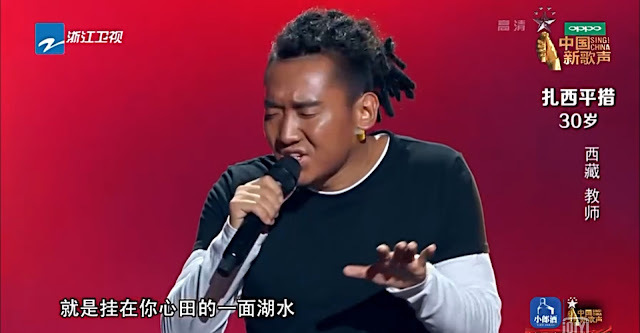 Eason challenges him to sing 因为爱情 at a high F note, and Hu Si Mo says he should be able to do it. Jay comments that although he is confident, he doesn't have to go under the wing of an extremely confident teacher (ha). And so Hu Si Mo didn't - he chose Liu Huan in the end! Good choice, I must say. A Maths, Calculus and Physics teacher in a Tibetian school at the foot of Mount Everest, 30-year old Zha Xi Ping Cuo takes on 一面湖水, singing a string of Tibetian lines. It is mysterious and otherworldly. Liu Huan's camp is most suitable for him, I think. He reminds me of the younger version of Qi Qin. Very, very comfortable to listen to him sing this. I would love to hear him sing more "commercial" songs. 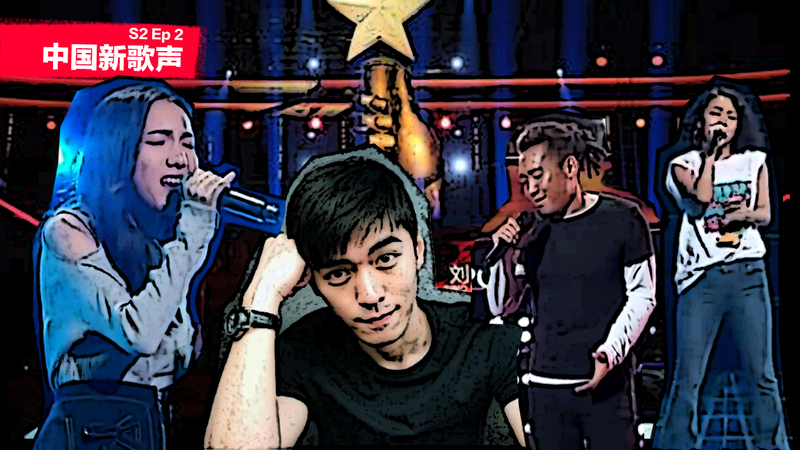 Oh-em-gee, my jaw dropped when I hear him rap Tibetian lines!!! Am I watching Talent of China or what?! Freakin' cool. Jay Chou, Liu Huan, Na Ying slam their buttons in quick succession. Zha Xi Ping Cuo chooses Liu Huan. Perfect choice. I think only Liu Huan is able to shape him appropriately in their similar genres. 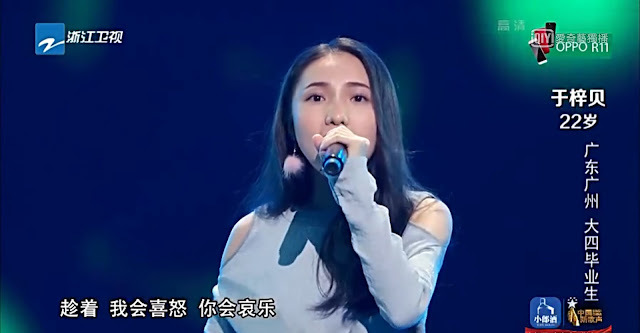 A member of the acapella team where Wang Chen Rui (lead singer of the acapella team, top of Na Ying's team in SING!CHINA Season 1) came from, Yu Ci Bei sings 模特. Finally someone singing Joker Xue's songs. From my karoke experiences, I know Joker Xue's songs are immensely difficult to sing even in terms of tone and rhythm. What more to sing it well. But Yu Ci Bei definitely nailed it. Her rendition is one that I would replay on lonely nights, channelling the same languid emotions when watching golden street lamps speed past on a taxi. She is definitely my favourite up till now. After some contemplation, Eason hits the button. Towards the end, Na Ying hits the button. Eason death stares Na Ying, who is now in the running with him. Yu Ci Bei chooses Eason! Amazing choice. I am glad she didn't follow after Wang Chen Rui's footsteps. Zi Zi from Vancouver, Canada is a full-time singer that has got everyone impressed with her English songs. She sings a classic, Careless Whispers by Wham! George Michael. Her voice is really rich and reminds me of Sarah Connor x Mariah Carey. Liu Huan and Na Ying slams the button together. Zi Zi definitely has a lot of flair for stage presence, with immense lung power and a thick voice. Her last line does bring a tear to my eye as she quietens down. Wham! is one of the first bands that entered China when they started adopting their open door policy and it has a special bond for the Chinese. She chooses Liu Huan! Wow, Liu Huan is raking in students like free today. Finally! Let me guess, Na Ying's ovaries will explode for this cutie. Wang Zhen Nuo, a dog-lover and advertising model (for coffee) from Taiwan sings 别说没爱过 by Wei Li An. Even before he starts singing, I feel incredibly excited already. I like his voice... very clean, slightly rough and metallic, but also similar to Wei Li An in the first few verses. 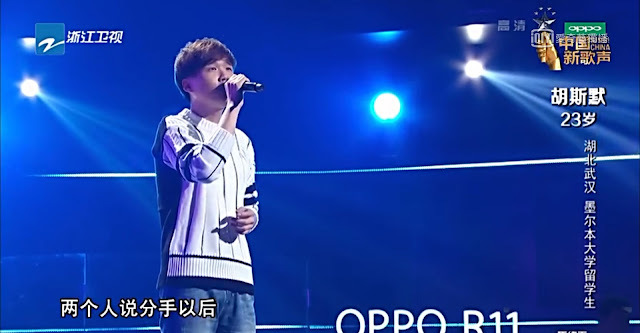 When he challenges the higher tones, I think I take a stronger liking to his voice - a very controlled yet not overly strained version of Wu Ke Qun. Indeed, Na Ying is the first one that can't resist him. Liu Huan hits the button at the last minute, and Na Ying is so sad she can't have him uncontested. Na Ying says "how touching" at the end of the performance, but I think she wants to say "how handsome". Haaaa. In the end, he chooses Na Ying! She rushes towards him and finally says what is on her mind all the time "so handsome!!!". She is such an open book, she totally cannot hide her glee as she hugs Liu Huan too. Wang Zhen Nuo's level of attractiveness can seriously rival Wallace Huo. Yeah. So, if you are reading this without watching the music videos in full - yes, this is a sign for you to watch it! And with that, we wrap up Episode 2 for this season. Keep the KingTV app now in your phone to watch them for free wherever you go.